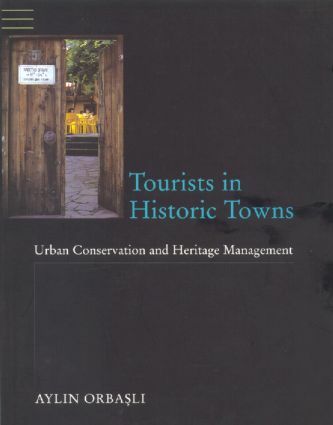 Tourists in Historic Towns examines the relationship of culture, heritage, conservation and tourism development in historic towns and urban centres, debating the impacts of tourism on historic towns and the role tourism plays in conservation and urban continuity. The main focus of the book is medium sized historic towns and historic quarters which are attractive to the tourist market, but historic quarters in large cities and smaller rural settlements are not excluded. Alongside over a hundred examples of historic towns, five historic towns are discussed as case studies: Granada, Spain; York, England; Mdina, Malta; Antalya, Turkey and Quedlingburg, Germany.